Not to be confused with Ludwig von Mises. 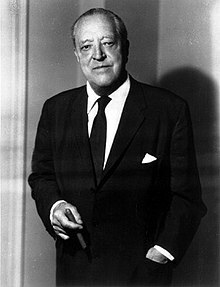 Ludwig Mies van der Rohe (/miːs/ MEESS; German: [miːs]; born Maria Ludwig Michael Mies; March 27, 1886 – August 17, 1969) was a German-American architect. He was commonly referred to as Mies, his surname. Along with Alvar Aalto, Le Corbusier, Walter Gropius and Frank Lloyd Wright, he is regarded as one of the pioneers of modernist architecture. Mies was a director of the Bauhaus, a seminal school in modern architecture. After Nazism's rise to power, and with its strong opposition to modernism (leading to the closing of the Bauhaus itself), Mies went to the United States. He accepted the position to head the architecture school at the Armour Institute of Technology (now the Illinois Institute of Technology), in Chicago. Mies sought to establish his own particular architectural style that could represent modern times just as Classical and Gothic did for their own eras. He created his own twentieth-century architectural style, stated with extreme clarity and simplicity. His mature buildings made use of modern materials such as industrial steel and plate glass to define interior spaces, as also conducted by other modernist architects in the 1920's and 1930's such as Richard Neutra. Mies strove toward an architecture with a minimal framework of structural order balanced against the implied freedom of unobstructed free-flowing open space. He called his buildings "skin and bones" architecture. He sought an objective approach that would guide the creative process of architectural design, but was always concerned with expressing the spirit of the modern era. He is often associated with his fondness for the aphorisms, "less is more" and "God is in the details". Mies was born March 27, 1886 in Aachen, Germany. He worked in his father's stone carving shop and at several local design firms before he moved to Berlin, where he joined the office of interior designer Bruno Paul. He began his architectural career as an apprentice at the studio of Peter Behrens from 1908 to 1912, where he was exposed to the current design theories and to progressive German culture. He worked alongside Le Corbusier and Walter Gropius, who was later also involved in the development of the Bauhaus. Mies served as construction manager of the Embassy of the German Empire in Saint Petersburg under Behrens. Ludwig Mies renamed himself as part of his transformation from a tradesman's son to an architect working with Berlin's cultural elite, adding "van der" and his mother's maiden name "Rohe" (the word mies means "lousy" in German) and using the Dutch "van der", because the German form "von" was a nobiliary particle legally restricted to those of genuine aristocratic lineage. He began his independent professional career designing upper-class homes. In 1913, Mies married Adele Auguste (Ada) Bruhn (1885-1951), the daughter of a wealthy industrialist. The couple separated in 1918, after having three daughters: Dorothea (1914-2008), an actress and dancer who was known as Georgia, Marianne (1915-2003), and Waltraut (1917-1959), who was a research scholar and curator at the Art Institute of Chicago. During his military service in 1917, Mies fathered a son out of wedlock. In 1925 Mies began a relationship with designer Lilly Reich that ended when he moved to the United States; from 1940 until his death, artist Lora Marx (1900-1989) was his primary companion. Mies carried on a romantic relationship with sculptor and art collector Mary Callery for whom he designed an artist's studio in Huntington, Long Island, New York. He also was rumored to have a brief relationship with Edith Farnsworth, who commissioned his work for the Farnsworth House. Marianne's son Dirk Lohan (b. 1938) studied under, and later worked for, Mies. The mounting criticism of the historical styles gained substantial cultural credibility after World War I, a disaster widely seen as a failure of the old world order of imperial leadership of Europe. The aristocratic classical revival styles were particularly reviled by many as the architectural symbol of a now-discredited and outmoded social system. Progressive thinkers called for a completely new architectural design process guided by rational problem-solving and an exterior expression of modern materials and structure rather than what they considered the superficial application of classical facades. While continuing his traditional neoclassical design practice, Mies began to develop visionary projects that, though mostly unbuilt, rocketed him to fame as an architect capable of giving form that was in harmony with the spirit of the emerging modern society. Boldly abandoning ornament altogether, Mies made a dramatic modernist debut in 1921 with his stunning competition proposal for the faceted all-glass Friedrichstraße skyscraper, followed by a taller curved version in 1922 named the Glass Skyscraper. He joined the German avant-garde, working with the progressive design magazine G, which started in July 1923. He developed prominence as architectural director of the Werkbund, organizing the influential Weissenhof Estate prototype modernist housing exhibition. He was also one of the founders of the architectural association Der Ring. He joined the avant-garde Bauhaus design school as their director of architecture, adopting and developing their functionalist application of simple geometric forms in the design of useful objects. He served as its last director. Like many other avant-garde architects of the day, Mies based his architectural mission and principles on his understanding and interpretation of ideas developed by theorists and critics who pondered the declining relevance of the traditional design styles. 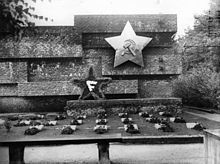 He selectively adopted theoretical ideas such as the aesthetic credos of Russian Constructivism with their ideology of "efficient" sculptural assembly of modern industrial materials. Mies found appeal in the use of simple rectilinear and planar forms, clean lines, pure use of color, and the extension of space around and beyond interior walls expounded by the Dutch De Stijl group. In particular, the layering of functional sub-spaces within an overall space and the distinct articulation of parts as expressed by Gerrit Rietveld appealed to Mies. The design theories of Adolf Loos found resonance with Mies, particularly the ideas of replacing elaborate applied artistic ornament with the straightforward display of innate visual qualities of materials and forms. Loos had proposed that art and crafts should be entirely independent of architecture, that the architect should no longer control those cultural elements as the Beaux Arts principles had dictated. Mies also admired his ideas about the nobility that could be found in the anonymity of modern life. The bold work of leading American architects was admired by European architects. Like other architects who viewed the drawings in Frank Lloyd Wright's Wasmuth Portfolio, Mies was enthralled with the free-flowing spaces of inter-connected rooms that encompass their outdoor surroundings, as demonstrated by the open floor plans of the Wright's American Prairie Style. American engineering structures were also held up as exemplary of the beauty possible in functional construction, and American skyscrapers were greatly admired. Commission opportunities dwindled with the Great Depression after 1929. Starting in 1930, Mies served as the last director of the faltering Bauhaus, at the request of his colleague and competitor Walter Gropius. In 1932, Nazi political pressure forced the state-supported school to leave its campus in Dessau, and Mies moved it to an abandoned telephone factory in Berlin. By 1933, however, the continued operation of the school was untenable (it was raided by the Gestapo in April), and in July of that year, Mies and the faculty voted to close the Bauhaus. He built very little in these years (one built commission was Philip Johnson's New York apartment); the Nazis rejected his style as not "German" in character. Frustrated and unhappy, he left his homeland reluctantly in 1937 as he saw his opportunity for any future building commissions vanish, accepting a residential commission in Wyoming and then an offer to head the department of architecture of the newly established Illinois Institute of Technology (IIT) in Chicago. There he introduced a new kind of education and attitude later known as Second Chicago School, which became very influential in the following decades in North America and Europe. Mies settled in Chicago, Illinois, where he was appointed head of the architecture school at Chicago's Armour Institute of Technology (later renamed Illinois Institute of Technology). One of the benefits of taking this position was that he would be commissioned to design the new buildings and master plan for the campus. All his buildings still stand there, including Alumni Hall, the Chapel, and his masterpiece the S.R. Crown Hall, built as the home of IIT's School of Architecture. Crown Hall is widely regarded as Mies' finest work, the definition of Miesian architecture. 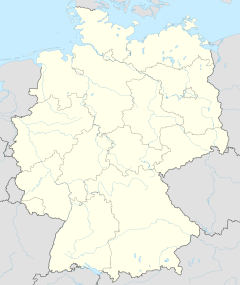 In 1944, he became an American citizen, completing his severance from his native Germany. His thirty years as an American architect reflect a more structural, pure approach toward achieving his goal of a new architecture for the twentieth century. He focused his efforts on enclosing open and adaptable "universal" spaces with clearly arranged structural frameworks, featuring prefabricated steel shapes filled in with large sheets of glass. His early projects at the IIT campus, and for developer Herbert Greenwald, presented to Americans a style that seemed a natural progression of the almost forgotten nineteenth century Chicago School style. His architecture, with origins in the German Bauhaus and western European International Style, became an accepted mode of building for American cultural and educational institutions, developers, public agencies, and large corporations. Mies worked from his studio in downtown Chicago for his entire 31-year period in America. His significant projects in the U.S. include in Chicago and the area: the residential towers of 860–880 Lake Shore Dr, the Chicago Federal Center complex, the Farnsworth House, Crown Hall and other structures at IIT; and the Seagram Building in New York. These iconic works became the prototypes for his other projects. He also built homes for wealthy clients. Chicago Federal Center Plaza, also known as Chicago Federal Plaza, unified three buildings of varying scales: the mid-rise Everett McKinley Dirksen Building, the high-rise John C. Kluczynski Building, and the single-story Post Office building. The complex's plot area extends over two blocks; a one-block site, bounded by Jackson, Clark, Adams, and Dearborn streets, contains the Kluczynski Federal Building and U.S. Post Office Loop Station, while a parcel on an adjacent block to the east contains the Dirksen U.S. Courthouse. The structural framing of the buildings is formed of high-tensile bolted steel and concrete. The exterior curtain walls are defined by projecting steel I-beam mullions covered with flat black graphite paint, characteristic of Mies's designs. The balance of the curtain walls are of bronze-tinted glass panes, framed in shiny aluminum, and separated by steel spandrels, also covered with flat black graphite paint. The entire complex is organized on a 28-foot grid pattern subdivided into six 4-foot, 8-inch modules. This pattern extends from the granite-paved plaza into the ground-floor lobbies of the two tower buildings with the grid lines continuing vertically up the buildings and integrating each component of the complex. Associated architects that have played a role in the complex's long history from 1959 to 1974 include Schmidt, Garden & Erickson; C.F. Murphy Associates; and A. Epstein & Sons. Between 1946 and 1951, Mies van der Rohe designed and built the Farnsworth House, a weekend retreat outside Chicago for an independent professional woman, Dr. Edith Farnsworth. Here, Mies explored the relationship between people, shelter, and nature. The glass pavilion is raised six feet above a floodplain next to the Fox River, surrounded by forest and rural prairies. The highly crafted pristine white structural frame and all-glass walls define a simple rectilinear interior space, allowing nature and light to envelop the interior space. A wood-panelled fireplace (also housing mechanical equipment, kitchen, and toilets) is positioned within the open space to suggest living, dining and sleeping spaces without using walls. No partitions touch the surrounding all-glass enclosure. Without solid exterior walls, full-height draperies on a perimeter track allow freedom to provide full or partial privacy when and where desired. The house has been described as sublime, a temple hovering between heaven and earth, a poem, a work of art. The Farnsworth House and its 60-acre (240,000 m2) wooded site was purchased at auction for US$7.5 million by preservation groups in 2004 and is now owned and operated by the National Trust for Historic Preservation as a public museum. The building influenced the creation of hundreds of modernist glass houses, most notably the Glass House by Philip Johnson, located near New York City and also now owned by the National Trust. The house is an embodiment of Mies' mature vision of modern architecture for the new technological age: a single unencumbered space within a minimal "skin and bones" framework, a clearly understandable arrangement of architectural parts. His ideas are stated with clarity and simplicity, using materials that are configured to express their own individual character. Mies designed a series of four middle-income high-rise apartment buildings for developer Herbert Greenwald: the 860–880 (which was built between 1949 and 1951) and 900–910 Lake Shore Drive towers on Chicago's Lakefront. These towers, with façades of steel and glass, were radical departures from the typical residential brick apartment buildings of the time. Mies found their unit sizes too small for him, choosing instead to continue living in a spacious traditional luxury apartment a few blocks away. The towers were simple rectangular boxes with a non-hierarchical wall enclosure, raised on stilts above a glass-enclosed lobby. The lobby is set back from the perimeter columns, which were exposed around the perimeter of the building above, creating a modern arcade not unlike those of the Greek temples. This configuration created a feeling of light, openness, and freedom of movement at the ground level that became the prototype for countless new towers designed both by Mies's office and his followers. Some historians argue that this new approach is an expression of the American spirit and the boundless open space of the frontier, which German culture so admired. Once Mies had established his basic design concept for the general form and details of his tower buildings, he applied those solutions (with evolving refinements) to his later high-rise building projects. The architecture of his towers appears similar, but each project represents new ideas about the formation of highly sophisticated urban space at ground level. He delighted in the composition of multiple towers arranged in a seemingly casual non-hierarchical relation to each other. Just as with his interiors, he created free flowing spaces and flat surfaces that represented the idea of an oasis of uncluttered clarity and calm within the chaos of the city. He included nature by leaving openings in the pavement, through which plants seem to grow unfettered by urbanization, just as in the pre-settlement environment. Although now acclaimed and widely influential as an urban design feature, Mies had to convince Bronfman's bankers that a taller tower with significant "unused" open space at ground level would enhance the presence and prestige of the building. Mies' design included a bronze curtain wall with external H-shaped mullions that were exaggerated in depth beyond what was structurally necessary. Detractors criticized it as having committed Adolf Loos's "crime of ornamentation". Philip Johnson had a role in interior materials selections, and he designed the sumptuous Four Seasons Restaurant, which has endured un-remodeled to today. The Seagram Building is said to be an early example of the innovative "fast-track" construction process, where design documentation and construction are done concurrently. During 1951–1952, Mies' designed the steel, glass, and brick McCormick House, located in Elmhurst, Illinois (15 miles west of the Chicago Loop), for real-estate developer Robert Hall McCormick, Jr. A one-story adaptation of the exterior curtain wall of his famous 860–880 Lake Shore Drive towers, it served as a prototype for an unbuilt series of speculative houses to be constructed in Melrose Park, Illinois. The house has been moved and reconfigured as a part of the public Elmhurst Art Museum. He also built a residence for John M. van Beuren on a family estate near Morristown, New Jersey. Mies designed two buildings for the Museum of Fine Arts, Houston (MFAH) as additions to the Caroline Wiess Law Building. In 1953, the MFAH commissioned Mies van der Rohe to create a master plan for the institution. He designed two additions to the building—Cullinan Hall, completed in 1958, and the Brown Pavilion, completed in 1974. A renowned example of the International Style, these portions of the Caroline Wiess Law Building comprise one of only two Mies-designed museums in the world. The One Charles Center, built in 1962, is a 23-story aluminum and glass building that heralded the beginning of Baltimore’s downtown modern buildings. The Highfield House, just to the northeast of the Johns Hopkins Homewood campus, was built in 1964 as a rental apartment building. The 15-story concrete tower became a residential condominium building in 1979. Both buildings are now on the National Register of Historic Places. Mies's last work was the Neue Nationalgalerie art museum, the New National Gallery for the Berlin National Gallery. Considered one of the most perfect statements of his architectural approach, the upper pavilion is a precise composition of monumental steel columns and a cantilevered (overhanging) roof plane with a glass enclosure. The simple square glass pavilion is a powerful expression of his ideas about flexible interior space, defined by transparent walls and supported by an external structural frame. Art installations by Ulrich Rückriem (1998) or Jenny Holzer, as much as exhibitions on the work of Renzo Piano or Rem Koolhaas have demonstrated the exceptional possibilities of this space. The glass pavilion is a relatively small portion of the overall building, serving as a symbolic architectural entry point and monumental gallery for temporary exhibits. A large podium building below the pavilion accommodates most of the museum's total built area with conventional white-walled art gallery spaces and support functions. A large window running along all the West facade opens these spaces up to the large sculpture garden which is part of the podium building. Mies, often in collaboration with Lilly Reich, designed modern furniture pieces using new industrial technologies that have become popular classics, such as the Barcelona chair and table, the Brno chair, and the Tugendhat chair. His furniture is known for fine craftsmanship, a mix of traditional luxurious fabrics like leather combined with modern chrome frames, and a distinct separation of the supporting structure and the supported surfaces, often employing cantilevers to enhance the feeling of lightness created by delicate structural frames. Mies served as the last director of Berlin's Bauhaus, and then headed the department of architecture, Illinois Institute of Technology in Chicago, where he developed the Second Chicago School. He played a significant role as an educator, believing his architectural language could be learned, then applied to design any type of modern building. He set up a new education at the department of architecture of the Illinois Institute of Technology in Chicago replacing the traditional Ecole des Beaux-Art curriculum by a three-step-education beginning with crafts of drawing and construction leading to planning skills and finishing with theory of architecture (compare Vitruvius: firmitas, utilitas, venustas). He worked personally and intensively on prototype solutions, and then allowed his students, both in school and his office, to develop derivative solutions for specific projects under his guidance. Some of Mies' curriculum is still put in practice in the first and second year programs at IIT, including the precise drafting of brick construction details so unpopular with aspiring student architects. When none was able to match the quality of his own work, he agonized about where his educational method had gone wrong. Nevertheless, his achievements in creating a teachable architecture language that can be used to express the modern technological era survives until today. Mies placed great importance on education of architects who could carry on his design principles. He devoted a great deal of time and effort leading the architecture program at IIT. Mies served on the initial Advisory Board of the Graham Foundation in Chicago. His own practice was based on intensive personal involvement in design efforts to create prototype solutions for building types (860 Lake Shore Drive, the Farnsworth House, Seagram Building, S. R. Crown Hall, The New National Gallery), then allowing his studio designers to develop derivative buildings under his supervision. Mies's grandson Dirk Lohan and two partners led the firm after he died in 1969. Lohan, who had collaborated with Mies on the New National Gallery, continued with existing projects but soon led the firm on his own independent path. Other disciples continued Mies's architectural language for years, notably Gene Summers, David Haid, Myron Goldsmith, Y.C. Wong, Jacques Brownson, and other architects at the firms of C.F. Murphy and Skidmore, Owings & Merrill. But while Mies' work had enormous influence and critical recognition, his approach failed to sustain a creative force as a style after his death and was eclipsed by the new wave of Post Modernism by the 1980s. Proponents of the Post Modern style attacked the Modernism with clever statements such as "less is a bore" and with captivating images such as Crown Hall sinking in Lake Michigan. Mies had hoped his architecture would serve as a universal model that could be easily imitated, but the aesthetic power of his best buildings proved impossible to match, instead resulting mostly in drab and uninspired structures rejected by the general public. The failure of his followers to meet his high standard may have contributed to demise of Modernism and the rise of new competing design theories following his death. Over the last twenty years of his life, Mies developed and built his vision of a monumental "skin and bones" architecture that reflected his goal to provide the individual a place to fulfill himself in the modern era. Mies sought to create free and open spaces, enclosed within a structural order with minimal presence. Mies van der Rohe died on August 17, 1969 from esophageal cancer caused by his smoking habit. After cremation, his ashes were buried near Chicago's other famous architects in Chicago's Graceland Cemetery. His grave is marked by a simple black slab of granite and a large honey locust tree. The Ludwig Mies van der Rohe Archive, an administratively independent section of the Museum of Modern Art's department of architecture and design, was established in 1968 by the museum's trustees. It was founded in response to the architect's desire to bequeath his entire work to the museum. The archive consists of about nineteen thousand drawings and prints, one thousand of which are by the designer and architect Lilly Reich (1885–1947), Mies van der Rohe's close collaborator from 1927 to 1937; of written documents (primarily, the business correspondence) covering nearly the entire career of the architect; of photographs of buildings, models, and furniture; and of audiotapes, books, and periodicals. Archival materials are also held by the Ryerson & Burnham Libraries at the Art Institute of Chicago. The Ludwig Mies van der Rohe Collection, 1929–1969 (bulk 1948–1960) includes correspondence, articles, and materials related to his association with the Illinois Institute of Technology. The Ludwig Mies van der Rohe Metropolitan Structures Collection, 1961–1969, includes scrapbooks and photographs documenting Chicago projects. Other archives are held at the University of Illinois at Chicago (personal book collection), the Canadian Center for Architecture (drawings and photos) in Montreal, the Newberry Library in Chicago (personal correspondence), and at the Library of Congress in Washington D.C. (professional correspondence). ^ a b "Mies van der Rohe Dies at 83; Leader of Modern Architecture". The New York Times. August 17, 1969. Retrieved 2007-07-21. Mies van der Rohe, one of the great figures of 20th-century architecture, died in Wesley Memorial Hospital here late last night. He was 83 years old. ^ Dyckhoff, Tom (2002-11-30). "Mies and the Nazis". the Guardian. Retrieved 2018-06-20. ^ a b Frank N. Magill (5 March 2014). The 20th Century Go-N: Dictionary of World Biography. Routledge. pp. 2520–. ISBN 978-1-317-74060-5. ^ Jean-Louis Cohen (1996). Mies Van Der Rohe. Taylor & Francis. pp. 13–. ISBN 978-0-419-20330-8. ^ Jean-Louis Cohen (1996). Mies Van Der Rohe. Taylor & Francis. pp. 15–. ISBN 978-0-419-20330-8. ^ "German Embassy Building". Encyclopaedia of Saint Petersburg. Retrieved 2008-08-11. ^ "mies -- Wiktionary". Wiktionary. Retrieved 2018-11-05. ^ Haubrich, Rainer (18 July 2001). "Die Moderne ist Geschichte". Die Welt (in German). Hamburg. Retrieved 24 July 2018. ^ "Ludwieg Mies van der Rohe (1886–1969)". designboom.com. Archived from the original on August 10, 2001. Retrieved March 22, 2011. ^ Schulze. Mies van der Rohe: A Critical Biography, New and Revised Edition. University of Chicago Press. ^ "Mies' Children". tugendhat.eu. Retrieved October 22, 2012. ^ Welch, Frank D. (2000). Philip Johnson & Texas (1st ed.). Austin: University of Texas Press. p. 318. ISBN 0292791348. ^ Davies, Colin (2006). Key Houses of the Twentieth Century: Plans, Sections and Elevations. Laurence King Publishing. p. 113. ISBN 9781856694636. ^ Coleman, Debra; Danze, Elizabeth; Henderson, Carol (1996). Architecture and feminism: Yale publications on architecture. Princeton Architectural Press. p. 216. ISBN 9781568980430. ^ Compare Arthur Lubow's "The Contextualizer," New York Times. April 6, 2008, p. 4; excerpt, "...a skyscraper that Nouvel (adapting a term from the artist Brâncuși) called the "tour sans fins," or endless tower. Conceived as a kind of minaret alongside the squat, monumental Grande Arche de La Défense, the endless tower has taken on some of the mystique of Mies van der Rohe's unbuilt Friedrichstrasse glass skyscraper of 1921. To obscure its lower end, the tower was designed to sit within a crater. Its facade, appearing to vanish in the sky, changed as it rose, from charcoal-colored granite to paler stone, then to aluminum and finally to glass that became increasingly reflective, all to enhance the illusion of dematerialization." ^ Farnsworth House. "History" Archived 2007-02-24 at the Wayback Machine, Farnsworth House, Retrieved on 30 January 2013. ^ Serrano Avilés, Ramón; Osuna Redondo, Roberto; Valcarce Labrador, María Teresa (2016). Mies van der Rohe's Illinois Institute of Technology: Analysis and History of a Compositive Development. ^ Trevor Homer (13 December 2013). Born in the USA: The American Book of Origins. Skyhorse Publishing. pp. 167–. ISBN 978-1-62636-976-4. ^ "John C. Kluczynski Federal Building, Chicago, IL". Retrieved 2015-07-14. ^ "Everett M. Dirksen U.S. Courthouse, Chicago, IL". Archived from the original on 2015-09-24. Retrieved 2015-07-14. ^ "Chicago Federal Center Plaza". Retrieved 2015-07-14. ^ "The Museum of Fine Arts, Houston Law Building". Mfah.org. Archived from the original on 2006-10-03. Retrieved 2012-03-27. ^ "National Register Properties in Maryland". mht.maryland.gov. Retrieved 2018-12-16. ^ Hallmen, Sierra; Bruder, Anne. "Highfield House - Midcentury Modernist Landmark by Mies van der Rohe". Explore Baltimore Heritage. Retrieved 2018-12-16. ^ Schulze. Mies van der Rohe: A Critical Biography, New and Revised Edition. University of Chicago Press. p. 189. ^ Mies In Krefeld. Projekt Mik. Retrieved on 2013-12-23. ^ "Commonwealth Promenade Apartments, 1953–1956". Facebook. Retrieved 2012-03-27. ^ Vitullo-Martin, Julio.The Biggest Mies Collection: His Lafayette Park residential development thrives in Detroit.The Wall Street Journal. Retrieved on April 21, 2007. Blake, Peter (1976). The Master Builders. New York: W W Norton & Company, Inc. ISBN 0-393-00796-0. Carter, Peter (1974). Mies van der Rohe at Work. New York: Praeger. OCLC 627943. Daza, Ricardo (2000). Looking for Mies. Barcelona: Actar. ISBN 9788496954373. Puente, Moisés (2008). Conversations with Mies Van Der Rohe. New York: Princeton Architectural Press. p. 96. ISBN 978-1-56898-753-8. Schulze, Franz (1985). Mies Van Der Rohe; A Critical Biography. Chicago: University of Chicago Press, Inc. ISBN 0-226-74059-5. Schulze, Franz; Windhorst, Edward (2012). Mies Van Der Rohe, a Critical Biography (New and Revised Edition). Chicago: University of Chicago Press. ISBN 0-226-75600-9. Spaeth, David (1985). Mies Van Der Rohe. New York: Rizzoli International Publications, Inc. ISBN 0-8478-0563-8. Zimmerman, Claire (2015). Mies Van Der Rohe. Köln Germany: Taschen. ISBN 978-3-8365-6042-9.